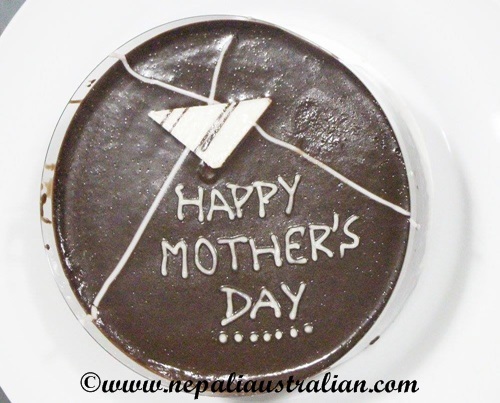 It was Nepali Mother’s day on Friday 6th May 2016 and Australian Mother’s day yesterday. 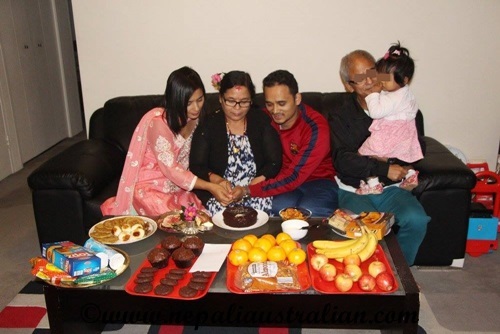 This year’s mother’s day is extra special for us as we have my mum, and my MIL (she arrived in Sydney yesterday) here. I was lucky enough to have my mum here last Mother’s day as well but it is AS’s first Mother’s day after a long time so I made sure they had a good one. 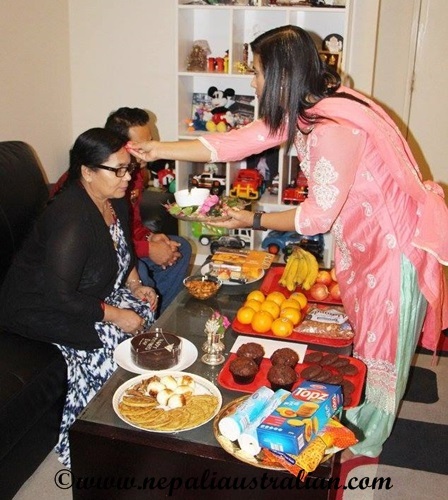 On Friday we celebrated in the traditional style with sagun, fruits, sweets and cakes. It was nice to observe AS’s celebration as both of them were very happy. 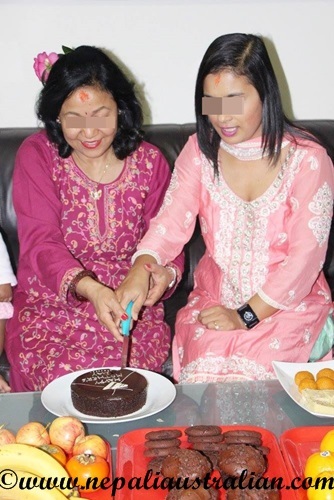 I also had my Mother’s day for my mum with sagun, fruits, sweets and cake. It is nice to have her here and wish we will be together for Mother’s day every year. I am a mum now too, so it was nice to be on the other end of the ceremony. Last year Chhori was too small but this year, she is big enough to enjoy the fun. She got me a cute card (AS did :)) and also sagun, fruits, sweets and a cake too. My MIL helped her with the tick and sagun for me. She was clam and followed the instructions well. It feels so good to be the mother of such a cute munchkin and I am so proud of her. And to all the proud moms out there, Happy Mother’s day. Hope you had a good one. 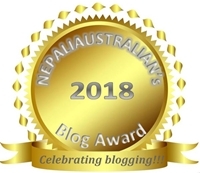 This entry was posted in Being Mum, Nepal, Nepali Culture, Nepali Festivals, Nepali food and tagged Aama ko Mukh herne, amma, Being mum, chhori, Mata Tirtha, Mother's Day, mother's day cake, mum, mummy, Nepali Mother’s day, Sagun. Bookmark the permalink. Thank you so much Robin. I feel blessed.